The ancient town Capannoli, which origins go back to the Roman Empire is caressed of the picturesque landscape of the Valdera. Capannoli was mentioned for the first time in a document from 843, as the castle was under the reign of the Counts della Gherardesca and the Bishop of Lucca. Between the 13th and 14th century, the town was conquered by the Counts of Montefeltro like many other places of the Era Valley, while the Maritime Republic of Pisa came under the rule of Gambacorti family. In the year 1406 Capannoli finally came into possession of Florence. According to a document the castle had already been in in ruins in the 13th century and was rebuilt in the 15th century. In the year 1631 Capannoli was ravaged by the plague, which reduced the population dramatically. Today the hospitable and happy people live on cattle breeding, winegrowing, olive-growing and the production of furniture. 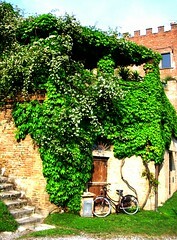 The area around Capannoli is characterized by the beautiful landscape and the many charming medieval villas. In this connection the following villas should be highlighted: the Villa Comunale Meidcea with its dreamy, exotic garden, the Villa La Torre, a little castle situated on a hill, the Villa Baciocchi in the late Baroque style, with neoclassical ornaments and finally the Villa Masi from 1626, in which chapel a holy image by Michelangelo can be admired. 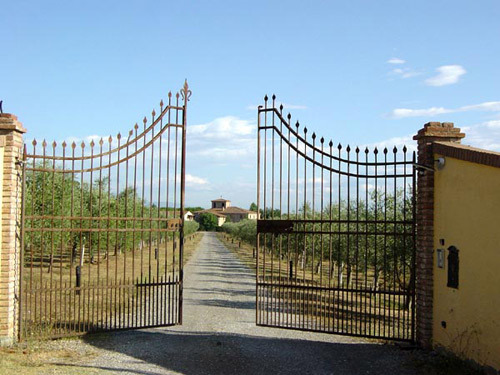 During your holiday in Tuscany we offer you accommodation in most romantic farmhouses surrounded by a magnificent scenery of olive groves and vineyards.